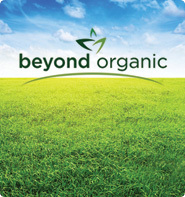 That’s just an overall list of what they have… it’s incredible all the things you can buy! They have a Chick-N-Pen that will connect onto the little barn, and give the chickens some protected space to roam. Oh my word, it looks like a spa for chickens! The one is the picture is the 14′ wide by 12′ long version. The prices range from a little over $1,300 to over $2,600 for the biggest one, but the frame is made from 14-gauge structural steel tubing, so looks like they are pretty sturdy structures! A healthy and safe environment that allows free-range exercise, safe from predators. Let the sun shine in… abundance of natural light ensures better egg production and healthier birds. I know I am experiencing a certain greenness, often associated with envy, when looking at this contraption. It really would be great for someone who couldn’t let their chickens free range because of predators, or restrictions where they live. It would even be a great way to let different batches of chickens take turns being outside in a bigger enclosure, if for instance you were raising different breeds and didn’t want them to cross-breed. 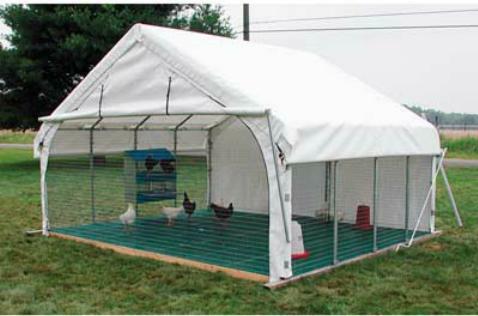 It continues to amaze me the different housing options that are available these days as chicken hutches, coops and runs! 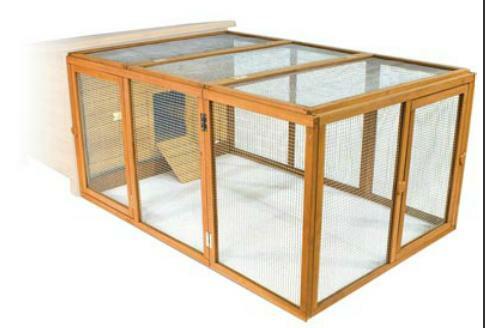 Cool Chicken Coops – What to look for when buying a chicken coop, and a look at many different available chicken coops. 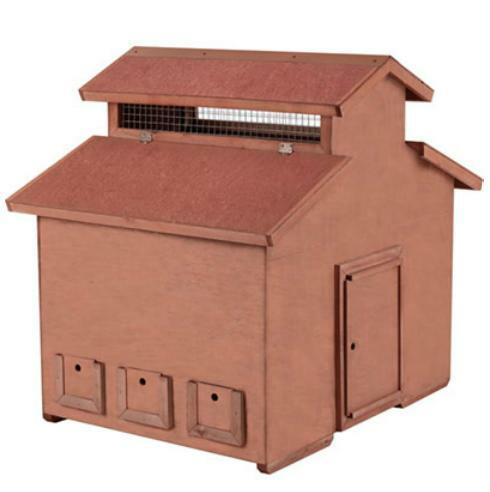 Cool Chicken Coops For Fowl Fun – Our other page with pictures of lots of different chicken houses. Starting Plants From Seeds Update!